When guests walk into your home they should feel a sense of the Thanksgiving spirit – that feeling of being welcome as if they were walking into their own home. The way you decorate your home will be a large part of that. Fall-themed decorations such as turkeys, leaves, gourds, pumpkins and cornucopias are all a nice touch for wall hangings, place cards, etc. Since your table will be the centerpiece of your party, it should also be the focal point of your decorating efforts. It’s hard to go wrong with a strong centerpiece such as a cornucopia, just make sure it isn’t too high and that it doesn't get in the way of people talking and passing food. Other important elements to consider are the quality of the china and silver you are using – make sure to pull out the best of the best. Your table settings should be tidy and decoratively reflect the season with shades of red, orange, brown or green. This will truly reflect the festive nature of the holiday. 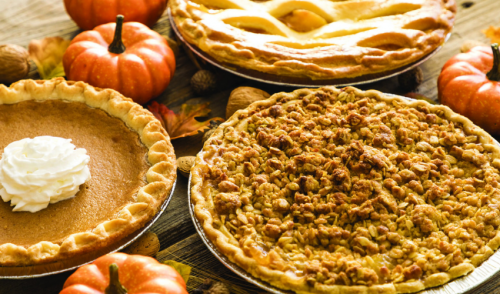 With these tips and your imagination, your Thanksgiving party is sure to be a success!